Are you scared of cockroaches and wanted to get rid of them at all cost? If yes, then there is nothing to worry as the official franchise of the Telebrands PAKISTAN has come up with a unique and versatile product in this regard named as the Roach Doctor Cockroach Killer Gel. The Roach Doctor Cockroach Killer Gel is basically a high-potency gel designed to kill the creepy cockroaches with minimal effort and time. The overall method of using of the Roach Doctor Cockroach Killer Gel is quite simple and easy. All you have to do is to just dab the gel in the dark corners of your house or workplace where cockroaches may hide and that’s all. 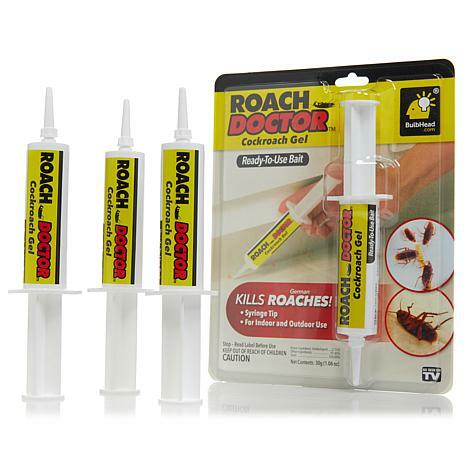 The Roach Doctor Cockroach Killer Gel comes with the one tube of cockroach killing gel and it also comes with the one injector that allows the customers to easily dab the gel in almost every corner or place. The Roach Doctor Cockroach Killer Gel is designed to use at both indoor and outdoor conditions with ease. If you are interested to purchase this versatile cockroach killing gel, then all you have to do is to just log on to the official franchise of the Telebrands PAKISTAN. Alternatively, you can also dial the number 0333.4115583 from your landline or mobile telephone number.